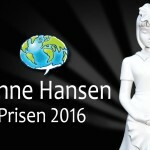 The 2016 Hanne Hansen Award was presented to a packed ballroom at Best Westerne Hotel Jørgensen in Horsens, on September 10th. 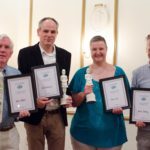 This year’s recipients were chosen not for their published work, but rather for their tireless efforts behind the scenes. One presenterer compared what they do, not to the water bearer, which every star cyclist requires, but rather to the mechanic, who makes sure that the gears are oiled. ng comics out to the people, either by creating an environment in which aspiring comics creators can learn the craft and later hone it; or the publisher, who for 25 years has published comics by Danish and foreign creators alike; or the shop owner, who after 10 years of loyal service to her store became the owner and continues the proud tradition, that saw her store celebrate 45 years of continuous business in 2016. 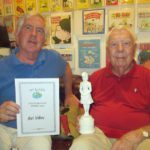 One last honorary award, was bestowed upon a creator, whose work has inspired many a Danish cartoonist and made millions of readers laugh on a daily and weekly basis. 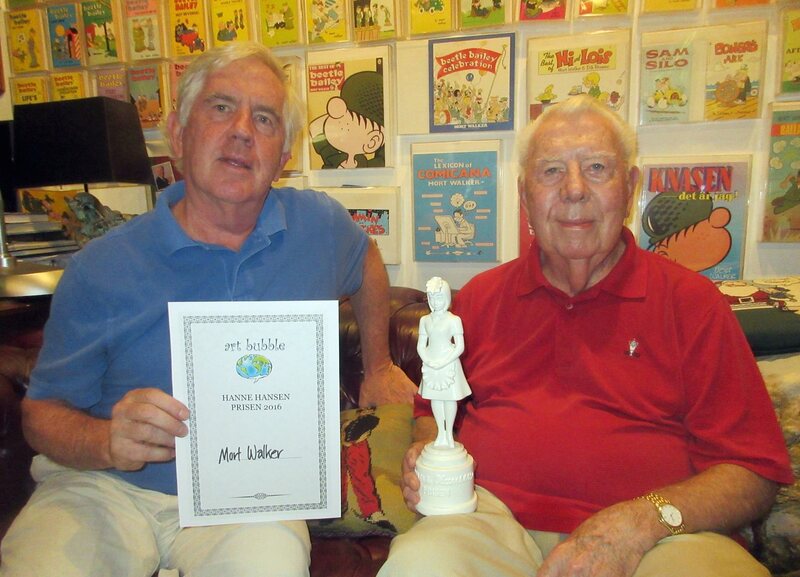 And finally – Mort Walker, creator of Beatle Baley and Hi & Luis.